Lake Atitlan in Guatemala — the 1.8-million-year-old 600-meter-deep volcanic lake located a couple hours from Guatemala City — is usually the highlight of anyone’s trip to the country, with its picturesque volcanoes towering over the lake, the small villages clustered along the shorelines and the chocolate shaman who seek spiritual enlightenment in cups of cocoa. The vagabond Canadian duo behind Hecktic Travels, Dalene and Peter, recently visited Lake Atitlan and put together this photo essay of stunning photos from the lake — including the above picture — complete with sunsets, snowball-shaped clouds and dormant volcanoes. If this doesn’t get you booking a trip there, than nothing will. 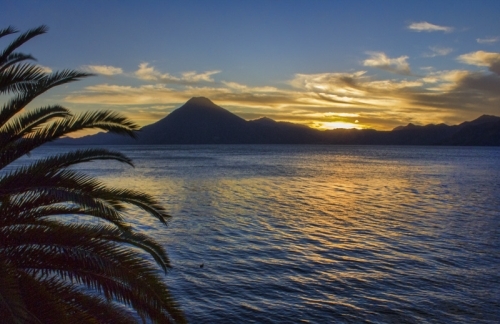 For more images of Lake Atitlan, check out my Travel Guide to Guatemala video here.